When companies approach me with deliverability issues I often find they are looking in the wrong place for the cause of inbox placement issues. Typically the conversation begins with my client’s perceived need to get an audit of their sending infrastructure, email HTML and content. Whilst these can affect inbox placement, the problems normally lie elsewhere. So I’m providing in this post the top 7 causes that can stop you getting to the inbox and you will learn the relative importance of each. The ISPs take a layered approach to deciding whether an email should be placed in the inbox or not. These layers have been built up over years of refinement, so a quick look at the evolution of spam filtering is valuable to understand how they work. In the early days (pre-2000), a technically valid configuration was the key factor. If your email server and DNS were set up correctly to Internet standards, that went a long way to show you were a legitimate sender, enabling emails to be successfully delivered to the inbox. Next came whitelisting; ensuring your IP address was whitelisted as a good sender helped inbox placement. Since spammers could easily make sure they also followed standards, and whitelists became unmanaged to provide any manual validation, ISPs turned to content based filtering: using words and phrases often used in spam emails could land you in the junk folder. Spammers tried to disguise their content by deliberate misspellings, or by placing text content in images where computer filters could not see them. Many potential spam words also occurred frequently in legitimate emails. A better method was needed. The ISPs came up with the smart idea of using the judgement of their customers to determine what was spam. If many customers hit the junk email button for a particular email, then the ISP considers that email to be spam. So sender reputation was born. The sending IP address and sending domain are given a reputation based on spam complaints, email bounces and spam traps. Judging spam based on user behaviour has been very successful at filtering spam, as, unlike other methods, its difficult for spammers to falsify. The ISPs are further enhancing filtering based on user behaviour by looking also at engagement; for example, forwarding, replying and reading. These are not actions users do with spam emails. Whilst reputation and engagement are the most important factors, none of the other layers have gone away. Spam filtering works like blowing up a balloon, if it bursts, the email is spam. 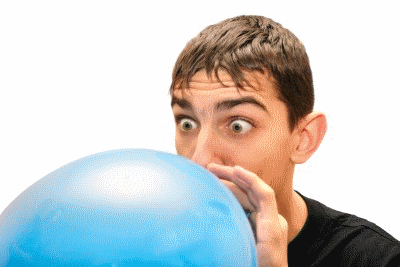 Many individual issues within each layer contribute a puff of air into the balloon. Some, such as spam complaints, give a bigger puff of air than others. Once the amount of air reaches a critical point, the balloon bursts and the email goes to spam rather than the inbox. Just as for a real balloon, no one particular puff is responsible for bursting the balloon and no single puff will cause the balloon to burst, it is the sum of all puffs that’s important. Note, this is a list of things that most likely cause problems, not a list of all factors that go into spam filtering. The number one point is data source and data collection practice. This is because how the recipient sees you and their state of relationship with you has a big impact on their behaviour and whether they hit the spam button or read your email. Consider how customers got onto your list. Should someone provide their email address for, say, a quote, and not be clear they will also get marketing too, it will cause spam complaints. Purchased data will be much worse, not only causing high complaints, but high bounce rates and spam traps. So the first place to look when delivery is a challenge is your data, not your content or sending infrastructure. Where did your data come from? From organic sign ups, competitions, purchases? How was expectation set in terms of how the address would be used and what would be sent? Has any old data been reintroduced? Has data always been well managed? Has unsubscribed data been accidentally re-introduced? Has the unsubscribe process stopped working? Has purchased data been used at any point? Are hard and soft bounces being removed? Keeping a record of data sources is not only good for marketing performance, but also for deliverability. If you need to purge data to improve deliverability, then removing the less active data from the most risky sources first is a good strategy. If you have squeaky clean data and emails are expected by recipients, then your balloons should not burst. The other factors such as content can play a part, but typically only if your data is not in perfect order. Great article Tim! I love your puffs into the balloon analogy. May I use it? Thank you for the thumbs up on the post. Sure go ahead and use the balloon analogy. I’d be delighted if you mention me too should you use it.